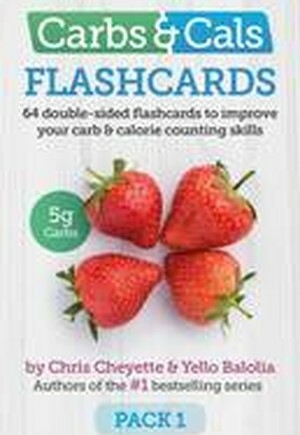 The Carbs & Cals Flashcards are a visual guide to counting carbs, calories and other nutrients. Each pack contains 64 large, durable cards showing photos of popular food and drink items. One side of each card displays a food photo and states the portion weight. The reverse of the card has the same photo, but also clearly shows the nutritional info.These are perfect to use in a variety of ways with patient education groups. Use one pack for small groups or get both packs to use with bigger groups. The two packs are in the same format but contain completely different food and drink items.